There are tons of high-authority websites that you can leverage to instantly boost your website domain authority. 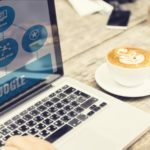 This article will explore some of these websites and describe how you can take a huge shortcut to SEO success for your business website. Building backlinks for higher Google ranking is repetitive work. If you did not read the previous articles in this series, I strongly recommend that you go back and start there. Going all the way back to part 1 in this series is here: Real World Backlink Examples. If you don’t want to go back to the very beginning of this series, then make sure you read the previous article here: Create an SEO Scrap File – For Building Backlinks (Part 4 in this Series) – You will want to be familiar with ways to be more efficient with your SEO work. If you have been following this series of blog articles about how to build high-quality backlinks for your business website, then you know we have been following some of the actual work we are completing for a group of our actual clients. Below we are going to take a look at some of the actual profiles we created. Not only do I hope seeing this in actual will help you to improve your SEO backlink-building skills, but it also allows us to send a little bit of backlink love to the profiles we have built to make sure that Google finds all of this work and gives us the backlink credit we are looking for! Web of Trust is a great resource that allows you to use the web safely. It has massive Domain Authority. In order for it to do its job, it must evaluate each website. This creates a report or a profile for each website. New websites don’t have this report yet and many small local websites also haven’t been picked up by this service … so you can force the report and create a profile. Once you have the profile/report page, it is your job to link to it to make sure Google finds it and indexes it so you get your backlink credit! Domain Tools is a super high-authority website that provides a great service on the web. As above, each website (potentially) has a page or profile. However, these profiles aren’t always picked up by Google so it is your job to get this page to be found by linking it from somewhere (just like I am doing now). This site is foreign. Russian? .ru … probably Russian. No worries, Google doesn’t care about the nation of origin (unlike the Trump investigators). If it has high authority, that’s good enough. You can right click the screen and hit TRANSLATE. It’s easy enough to use. Drop your website information in there and link it up so Google finds it. Another high-authority website that maintains a profile for each website. As stated above, these profiles (probably) already exist for your website. However, Google may not have picked it up yet … especially for new sites or low-traffic websites. So, it is important to post a direct link to the profile somewhere that it will be seen. See, this blog article is our way of creating backlinks to our backlinks. 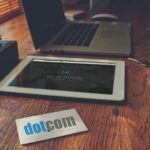 Our blog has high domain authority, Google crawls it all the time, so this article is the perfect place to add these links. This is another domain profile website. This one has some interesting information, especially if the domain is reasonably well established. Notice that the only way that this profile generates a backlink is if they have data about your domain in their system already. We are actually building hundreds of these sorts of profiles / reports right now for these SEO clients. We will post many of them once they become available. This is an active & working article tied directly into an active SEO campaign. Obviously, this is not a common situation to have a whole group of clients simultaneously running SEO campaigns in the same industry. This is a specific issue when you serve parent companies that have individual dealers or distributors below them. We have run 3 of these campaigns in the past, so we’re actually pretty comfortable with the whole thing. 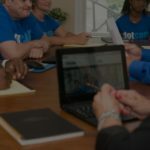 Next Post New Jersey to Florida, DotCom is Moving to Open New Location Alongside Naples Businesses!